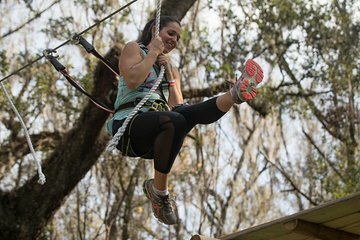 Zoom through the trees and swing like a monkey during a 4-hour zipline adventure course. It’s a great family activity with both a junior and adult course offered. Begin with a training session to familiarize yourself with the equipment. Then join your guide on your respective course and swing from up to 60 feet in the air. Work your way through various challenges and end with a 475-foot (145-meter) line.